The last book that I read (Brooklyn by Colm Tóibín) was one of the best books I have read in a long time. It was set in the 1950s, and focused on a young Irish girl named Eilis, who is persuaded to move to Brooklyn by her older sister Rose. She struggles with settling in, but eventually meets a guy (Tony) she really likes. She is then shocked with the news that her older sister has died, and her mother wants her to return to Ireland. She makes plans to return home for a month, but marries Tony before she leaves. He loves her, but isn’t convinced she would be able to leave her mother in Ireland if she had no permanent tie to Brooklyn. When she gets back to Ireland, her mother and friends have started making plans for her to stay, getting her a job and setting her up with a guy. She doesn’t tell them about Tony, and is almost tempted to stay and just write a letter to Tony asking for a divorce. In the end though, she makes the right decision and returns to Brooklyn and to her new life with Tony. Brooklyn is a tender story of great love and loss, and of the heartbreaking choice between personal freedom and duty. In the character of Eilis Lacey Colm Tóibín has created a remarkable heroine and in Brooklyn a novel of devastating emotional power. 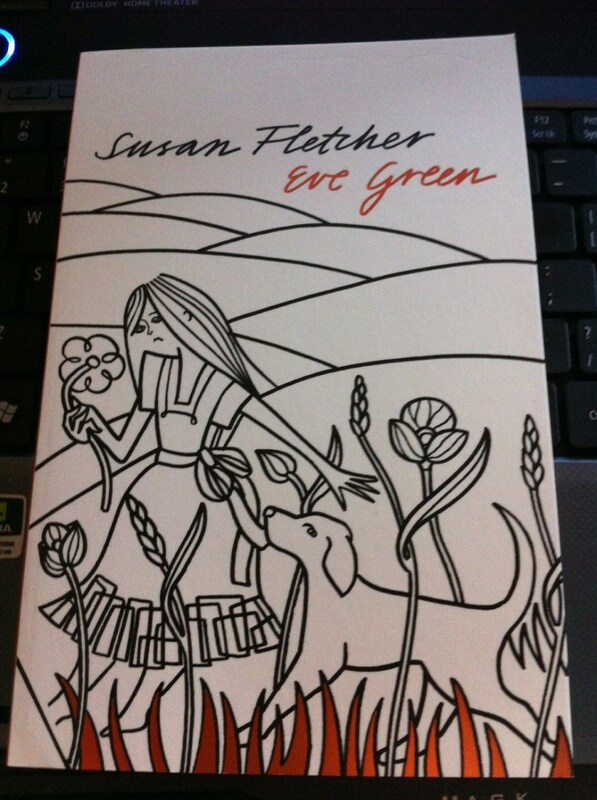 It took me a while to decide what book to read next (I’ve too many on my shelf to choose from), but I finally settled on Eve Green by Susan Fletcher. I’ve no idea really what it will be like, but the quote from The Observer on the back says ‘An exceptional debut of grace and subtlety’, and the book was the winner of the Whitbread First Novel Award. Quite a lot to live up to, but we’ll see how it goes. I did originally want to read Anna Karenina next, but it’s 848 pages long, and I wasn’t quite in the mood for something so in depth. I think I may read it over Christmas when I’ve got more time for reading.